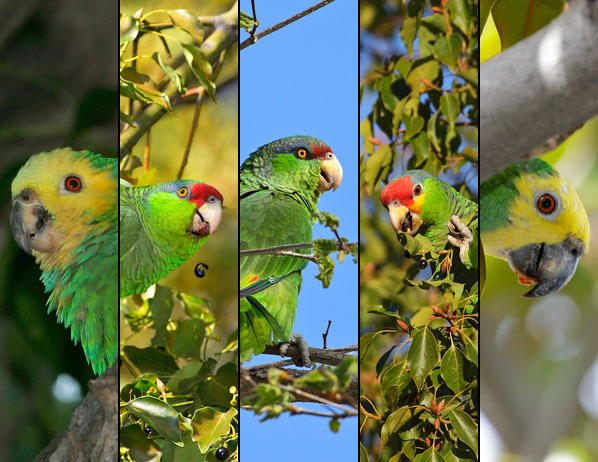 Among Southern California's Wild Parrots are those who are hybrids. They are unique in appearance and follow no identification standards. In many cases, they exhibit characteristics of both parents, however, there are also those hybrids who show no outwardly signs -- meaning they strongly resemble one parent's species or the other. Without absolute knowledge of their parentage, they go undetected, but for those of known parentage or those who are obvious hybrids...this is their story. whole or in part, may be used in any fashion without the express written consent of the artist.